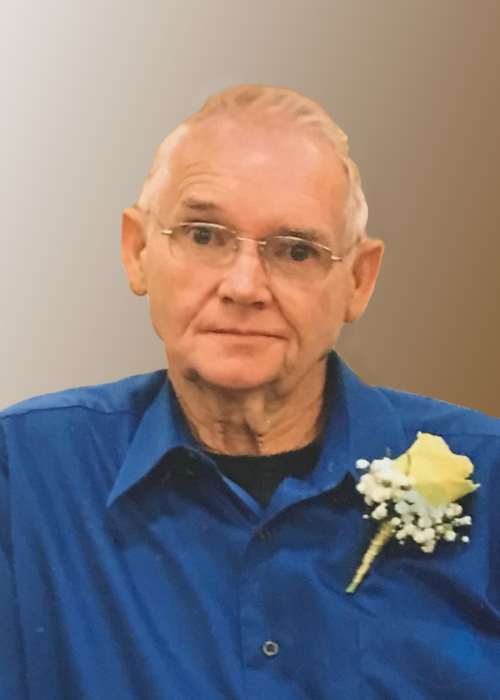 Obituary for Larry Gene Penrod | Myers Funeral Home, Inc.
Larry Gene Penrod, 79, of Wellsville, passed away Saturday, November 17, 2018 at his home, surrounded by his loving family. Mr. Penrod was born March 10, 1939 in Sturgeon, Missouri, a son of George William and Martha Helen (Winfrey) Penrod. On January 12, 1968 in Mexico, Missouri, he married Marilyn Ruth Erdel. They celebrated their 50th wedding anniversary this year with family and friends. Larry had retired from being a truck driver, working over 27 years for Cargill Nutrena Feeds in Montgomery City. Prior to that, he had owned and operated a gas station and was a Snap on Tools salesman. Larry had also owned and operated the meat locker in Montgomery City and had been a mechanic for Elmore Ford in Montgomery City. He was a former member of the Teamsters, Kiwanis, Jaycee’s and Sportsman’s Lake. In his younger years, Larry had been a Khoury League coach and was also a Cub Scout Master. Larry enjoyed fishing and camping, especially at Pomme de Terre Lake. He always caught enough that he was generous in sharing his fish with family and friends. More than anything, he loved spending time with his family and friends. Larry is survived by his wife, Marilyn Ruth Penrod, of the home in Wellsville; five children and spouses, George William and Rita Penrod, of Wellsville, Joseph Dale and Kimberly Mitchell, of Warrenton, Kelly Marie Greene and Wayne Martin, of Troy, Sherry Lynn and Ted Gastler, of Montgomery City and Annette Ruth and Danny Stafford, of Corpus Christi, Texas; twenty-one beloved grandchildren; twenty-six great-grandchildren and two great-grandchildren to be born; brother, Donald Ray Penrod, of Davis, Oklahoma; sister, Ella Jane Johnson and husband, Harry, of Wellsville; in addition to many nieces and nephews. He was preceded in death by his parents, George and Helen Penrod; grandson, Timothy Shane Penrod; great-grandson, Malaki Joseph Hopper and brothers, Jimmie Penrod and William Robert Penrod. Funeral services were at 1:00 p.m., Monday, November 19, 2018 at the Myers Funeral Home in Wellsville. Rev. Ralph Williams officiated. Visitation was held from 11:00 a.m. until the time of service, Monday, at the funeral home. Burial was in the Wellsville Cemetery. Serving as pallbearers were his grandsons, Tony Crouch, Vincent Kelly, Andrew Mitchell, Brandon Nichols, Brent Nichols, Justin Penrod and Matthew Stafford. Honorary pallbearer was his grandson, Timothy Penrod. Memorial contributions were suggested to the Wellsville Cemetery Association c/o Myers Funeral Home, 203 East Bates Street, Wellsville, MO 63384.